Private label rights (PLR) products are written articles, reports, videos, and other content that you can buy the right to use, sell and even brand as your own. Other people buy it too and can also use it, which makes the concept of PLR somewhat similar to syndication. 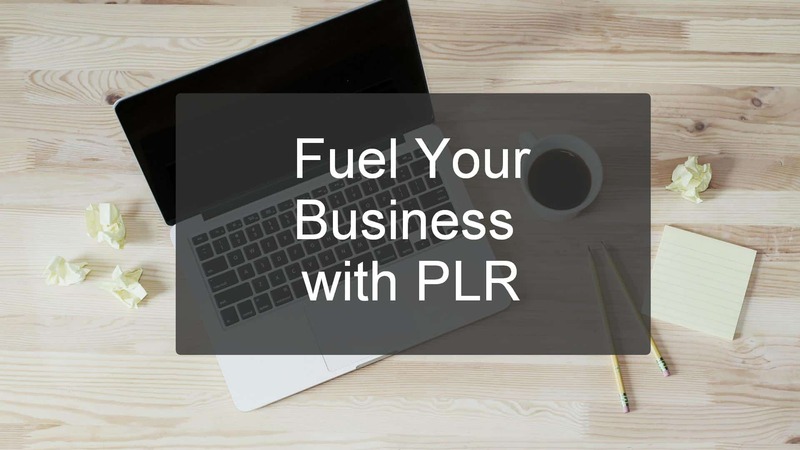 Learning how to use PLR can be the best thing to happen to your online business. Private Label Rights products provide you with a wide-open opportunity to build an information product business from the ground up. Information products are usually in the form of eBooks, slideshows, and even video today, and they teach the consumer what they need to know in an ever expanding number of categories. If you have already discovered a niche, there is likely already a lot of PLR written for that niche. You just have to find it. Do a Google Search, and simply look for the information yourself. You’ll be sure to find PLR if you’ve chosen a high value niche. You want PLR that is well written, that has good grammar and good formatting at a reasonable price, and that contains evergreen or up to date information. Once you find the information you want, it’s a good idea to package it in a new way. Don’t just use the PLR as is. Reorganize it, add to it, make it unique and special to your audience. Add your style and your unique brand to the PLR and make it new. In addition to starting with PLR to create an information product business, throw something else behind your information products, such as coaching and personal service to your buyers. This will make your information even more unique because it comes with your personal touch. Put PLR to work for your business. Grow your following by taking advantage of the quality PLR products at HomeFreePLR and those provided by our trusted partners. The Benefits of HomeFreePLR Membership.